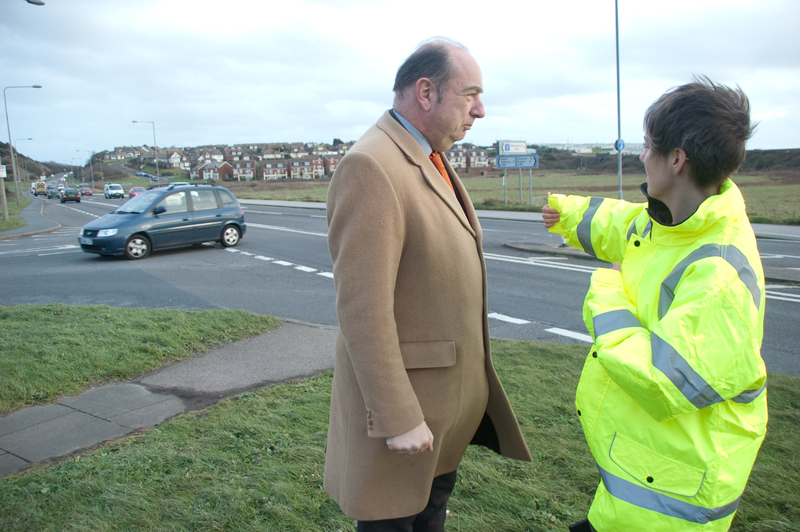 An Action plan to improve the A259 along the south coast has been launched by local Lib Dem MP Norman Baker. Under the plan, interventions will raise safety, improve traffic flow and help the environment. At Exceat Bridge, Norman wants to see traffic activated traffic lights to improve flows. Along the Eastbourne Road in Seaford, he is calling for a new pedestrian crossing to help pedestrians and slow traffic along the straight stretch. West of the town centre, Norman proposes traffic lights at the staggered junction, at Hill Rise and Marine Parade, and the reinstatement of the slip road at the turning to Bishopstone. West of Newhaven towards Peacehaven, he is calling for the early creation of a proper cycle track along the abandoned section on the north of the road.